This fun card is part of my stamp set of the month program. The cost is $30.95 and you get the clear mount Joyful Christmas stamp set and three hand stamped cards with instructions. You can join at any time. Just email me at kchin2@telus.net. 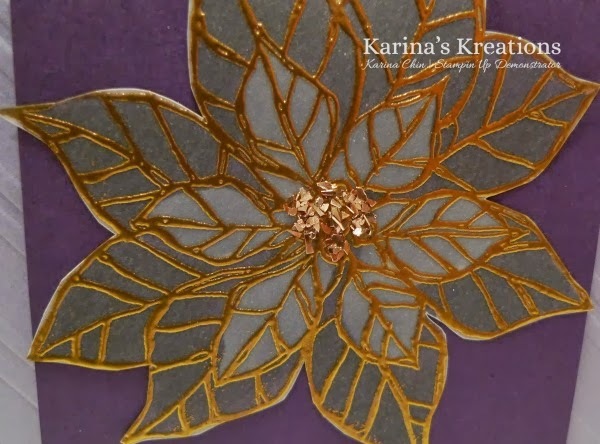 This fun technique is really easy. 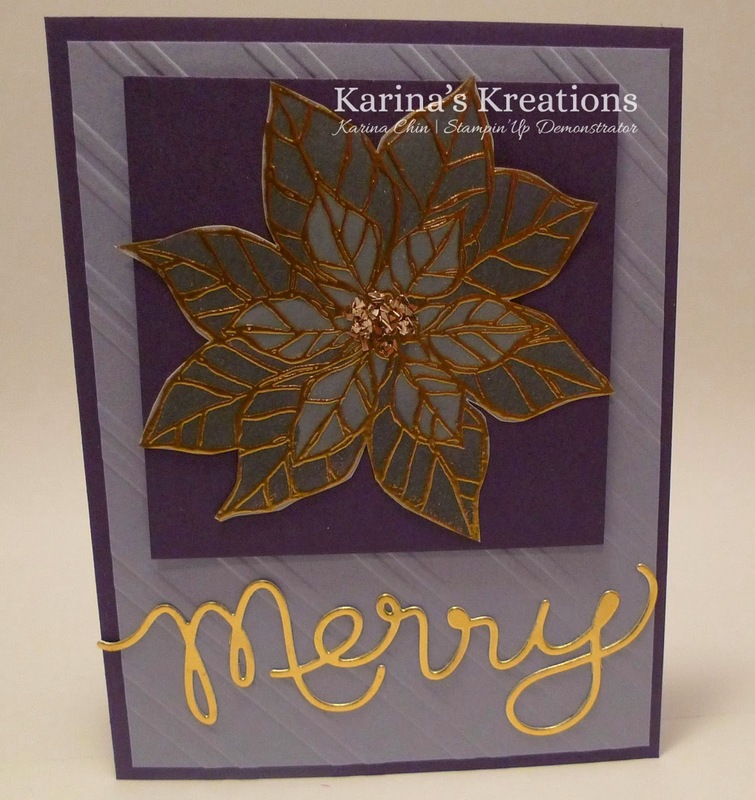 The poinsettia image was stamped on Vellum card stock and embossed with Gold embossing powder. The back of the image was coloured with Wisteria Wonder and Elegant Eggplant Stampin' Write markers. I added some gold chunky glitter to the centre of the flower with mono multi glue. I made a video for you but I taped it last week when there was too much sunlight. I hope you can still hear the instructions! !